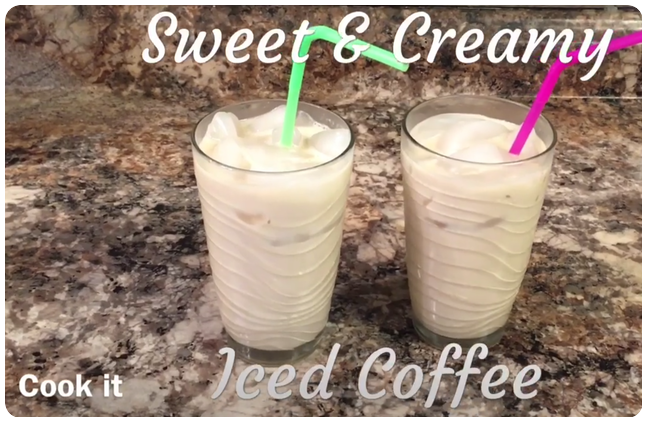 Jump start your day with this Sweet & Creamy Iced Coffee made in minutes for pennies without even leaving the house. Add your favorite Coffee to a reusable Keurig filter. Add your favorite flavored Creamer to a large glass measuring cup and brew Coffee over creamer. Fill two glasses with ice. When Coffee has brewed, mix well and then pour over ice. Plung Coffee to chill. I know this sounds basic but we have had a lot of hot Coffee drinkers (we drink both hot & cold) ask us how we make our iced Coffee.